When Sikh-Canadian Lilly Singh arrived on the set of the movie "Dr. Cabbie" earlier this year, she faced a bit of a learning curve. The 26-year-old already had millions of fans and was regularly mobbed by teenage girls at the mall. But the Markham, Ontario-based star wasn't a famous actress or pop singer — she was a YouTuber. "I went on set and I just started acting right away. They were like, 'No, no, we need to call action,'" Lilly recalled with a laugh during a recent telephone interview. 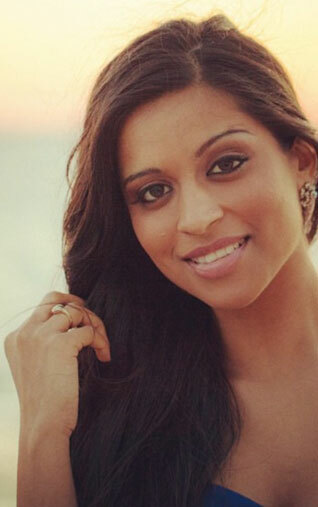 Lilly Singh is among a new generation of entertainers who are finding massive success on YouTube. With self-produced, low-budget videos, YouTubers are attracting devoted fan followings, earning steady paycheques and increasingly landing film roles, TV shows and record deals. On her channel II Superwoman II, Lilly posts comedy videos twice a week for her 4.4 million subscribers. She typically shoots them in her parents' house in Markham, where she lives, and plays multiple characters -- male and female -- with a goofy, refreshing lack of self-consciousness. With videos like "How Girls Get Ready" and "Types of Kids at School," Lilly has fostered a largely suburban, teenage female audience. She often finds humour in her relationship with her Sikh parents, frequently donning a fake beard and thick accent to portray her dad. "I don't feel the need to be this perfect, very pretty type of person, and I think my fans really relate to that," said Lilly. "A lot of times they tell me, 'You're so real, and you make me OK with being myself.'" Lilly said her upbringing in Scarborough, a diverse suburb of Toronto, greatly influenced her comedic style. One of her first videos to go viral was titled "(Stuff) Punjabi Mothers Say," which has now been viewed more than four million times. "When I first started, inevitably (my fanbase was) majority Sikh and South Asian, because my videos were titled, like, 'My Sikh parents so-and-so.' Now, I don't do that anymore because I very quickly realized you don't have to put Sikh or Indian or South Asian in the title because it applies to everyone, for the most part," she said. "Even if I'm talking about my Sikh parents, I can do it in a way that someone who has Jamaican parents, or Chinese parents, they can relate to it as well." Of course, the line between YouTube and the mainstream entertainment industry is becoming increasingly blurred, Anable said. Not only are pop stars and TV networks setting up YouTube channels to promote and share their products, but YouTube stars like Lilly Singh are landing roles in feature films. Famously, Justin Bieber was first discovered because of his YouTube videos. 1: Harinder Singh (Punjab), December 10, 2014, 8:44 AM. Lilly ji, tussi great ho. We are all impressed by your exuberance and love of life. Go Go Go and pursue your dreams. 2: R Singh (Canada), December 18, 2014, 6:51 AM. Lighthearted look at life ... totally enjoy it, even the stuff about Punjabi parents!